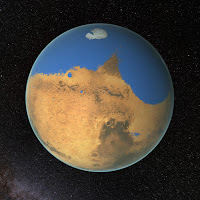 The internet got some scientific excitement yesterday with NASA's announcement of discovering evidence of water on Mars. This got me thinking to science fiction set in our own solar system - primarily in RPGs. It's not a particularly common setting, especially once you remove retro style games which focus on a pulpier version of the solar system such as Space: 1889 and Rocket Age. Those are wonderful games, but I'm talking games set in a slightly harder setting. In my Facebook feed I see a lot of pictures mocking common core math. 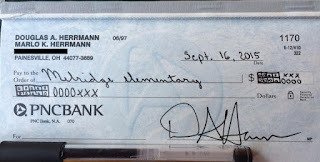 The latest to go viral is the dad who used "common core math" to write a check. Friendly Atheist over at Patheos wrote a blog post The Dad Who Wrote a Check Using “Common Core” Math Doesn’t Know What He’s Talking About which describes what the deal is with "ten boxes" and how the check isn't even correct for using ten boxes. I'm mildly qualified to give my own opinions on the whole common core math thingamabobber. I'm married to a science teacher which gives me access to someone in the business (though not in math). But don't take any of this to be her opinion; this is all me. More importantly, I've two kids, ages 10 and 13, who often need help with math homework. Imagine my surprise the first time I tried to help them and they told me I was "doing it all wrong". So I get the frustration a lot of parents feel. 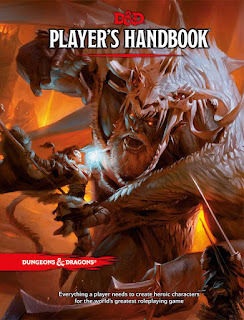 It's a little late to be doing a review of D&D 5th edition. Be that as it may, I recently ran my first 5th edition game and it seemed a reasonable topic to give my first impressions of it. This isn't a full review - a little googling will find a few gazillion of those. First, some background. Earlier in the year we played some Dungeon Crawl Classics. It was a blast, at least until the total party kill. I'd gladly play again, but I felt free to allow my GM ADD to reign. We played Fantasy Flight Games' Star Wars: Edge of the Empire. It's a game I enjoyed, but it's a bit of a mental shift from other game which had me doing a lot of legwork as GM. 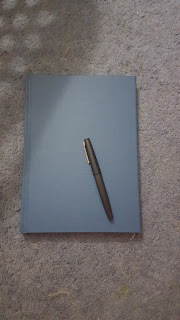 With me beginning my long delayed (part-time) pursuit of a Master's Degree this fall I wanted something that didn't require quite as much prep work. After some back and forth we kicked off a 5th edition D&D game set on Eberron. I seem to be on my "Social Justice Warrior" kick and my previous post on Diversity in Comics got a decent amount of traffic (well by my blog's standards) - with some interesting comments, both here and in other places I posted links. One thing that showed up in some discussions is the absolute possibility of being extremely clumsy in the well meaning attempt at including diversity. The 1970s is rife with this - an era when diversity often meant tacking the word "black" in front of a character's name. 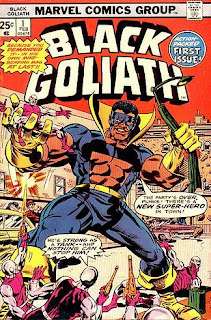 Black Lightning is perhaps the most notorious example and Black Goliath comes to mind as well. The character Black Panther headlining a comic book entitled Jungle Action just seems terrible in retrospect. Marvel and DC Comics have, over the past few years, increased the diversity in comics characters. Earth 2 has featured a gay Green Lantern leading character. The current Ms. Marvel is a Pakistani-American teen-aged girl. The lead of Ultimate Spider-Man transferred from white Peter Parker to mixed race (of African American and Latino descent) Miles Morales. I've read some controversy as to whether this is "pandering". I've also heard some people upset that iconic characters who had been white males being replaced by other types of characters - "why not make an original African American character?" for example. Oddly, one area I find myself turning to some vintage technology is when I need to record my thoughts. Both in hobbies and at work I find myself making use of pen and paper as my preferred way of doing so. It's not that I'm uncomfortable with more modern methods - for example in my family we use tools Google Calendar and Google Keep as tools to keep track of everyone's activities and to maintain shopping and todo lists. When I'm at my local supermarket I'll have my cell phone in hand clicking off items as I put them in my shopping cart. Hello. My name is Inigo Montoya. You killed my father. Prepare to die. 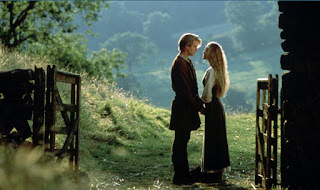 I didn't see The Princess Bride when it came out in theaters in 1987. Not many people did. Pulling up IMDB, the movies that I saw in 1987 when they did come out were Spaceballs, Can't Buy Me Love, A Nightmare On Elm Street 3, Superman IV, and Teen Wolf Too. I turned 16 that year so I really shouldn't have been able to see Elm Street without an adult but this was the 80s where the way to get into an R movie as a teenager was to buy a ticket to that movie. I can safely say that The Princess Bride blows all of them away. 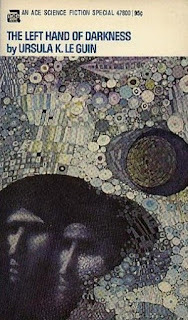 I first saw it in the early 90s while at UConn. I don't remember if a friend had it or someone rented it but a bunch of us watched it in my dorm room on my VCR, attached to an extremely tiny TV. It's pretty much obligatory viewing for those in gaming, if for no other reason than to get all the references other players will be making. I recently reread Stephen King's novel Salem's Lot. Among the many things it does well is capture 1970s America. It's not too surprising given it was written then, but there are some books, television shows, etc. that really are products of their times. There was a bit of a tempest last week when the OneBookshelf (i.e. DriveThruRPG, RPGNow) sites hosted for a period a d20 supplement entitled "Tournament of Rapists".